So, it’s Saturday morning. Hello!! You may want a special breakfast today. You may have some extra time to whip something up today. Maybe you’re really trying to stay on track but want something that feels more decadent this morning. These pancakes are super simple and quick. No, they don’t taste just like pancakes, but they’re good and definitely add up to more than the sum of it’s parts! Mix them together. If you’re feeling wild, add some cinnamon and/or vanilla extract. Cook on medium high like you would a…pancake! I topped mine with some almond butter. Really good! In the picture, I have the ones I cooked on medium high on top and the less pretty ones are on the bottom. Those were cooked on a lower setting and didn’t come out as nice. If you’re doing the 21 Day Fix, these are 1 Red and 1 purple (without the almond butter). 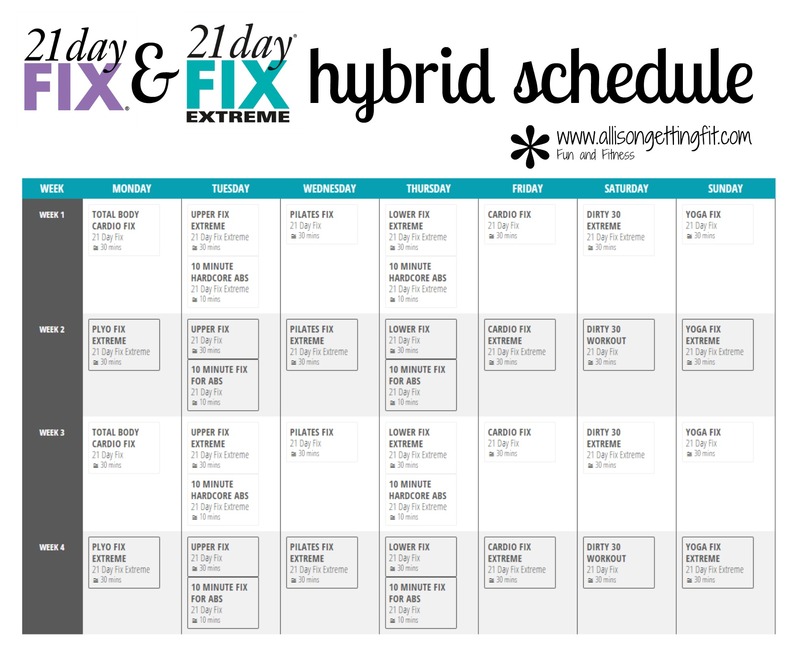 Want to do the 21 Day Fix? There are 2 more days to get it discounted and get in on my January prize blitz!! This is the program that I call my gamechanger…it got me on track after 2 years of poor eating between pregnancy and breastfeeding. 30 minute workouts, simple portion control eating and creates your new habits to make healthy choices in your lifestyle! Plus you can join in my next support group to keep you on track! Next one is for the moms, but I always have a next one! Did you try these?? Leave a comment! It was time to change up dessert! So I went for one of those things that you always hear about but rarely make. Chocolate chia pudding…sounds odd, tastes yum! Have you tried it? Here’s the recipe I used…adapted from the Fixate Cookbook which I want to make more recipes from this year. I’m fairly cautious of recipes I try…I like easy, I’m not a meal planner, and I usually cook for just myself. This was pretty easy, but warning…you do have some sitting/refrigeration time! Combine ingredients until cocoa powder is incorporated. Let sit at room temperature for 30 minutes. Stir and cover, place in refrigerator for at least 4 hours. Sometimes, I want something combined in a pan…rare for me, who doesn’t like their food to touch, but sometimes it just sounds delicious. That’s when I start to get creative and actually cook a meal! This came out just as I wanted it. But no one tried it but me. Kind of perfect in that I had meals for 4 days. But the likelihood I’ll make it again goes down when I’m the only one having it! But, here’s what I made just in case I DO want it again or you want to try! And it’s 21 Day Fix-ed! Heat wok or pan on high heat for 1 minute. Add half of coconut oil and let melt. Add onions and peppers. When no longer frosty, add broccoli and stir-fry for about 3 minutes. Add soy sauce and seasoning. Stir-fry for a minute and transfer to bowl. Clean pan and return to heat for 1 minute. Season chicken with sea salt and seasoning. Melt remaining coconut oil in pan. Add chicken and stir-fry for 1 minute. Add garlic, ginger and scallions and stir-fry for 4-5 minutes or until chicken is browned and cooked through. Add vegetables to chicken and give it a whirl! Enjoy! You can add in other vegetables you like or have on hand as well! On the 21 Day Fix, this is 1 Green, 1 Red, 1 tsp! There are my results and thoughts scattered about, but no comprehensive posts. So here we go. 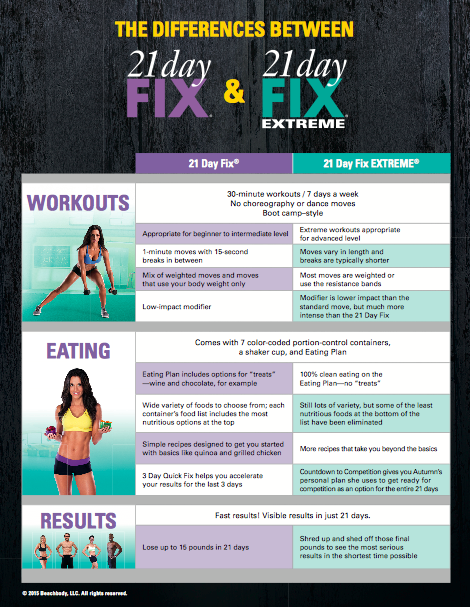 What is the difference between the 21 Day Fix and 21 Day Fix Extreme programs? So that’s official…but what is my opinion? The original plan is a true lifestyle plan. The eating is how I eat almost all times. I love it because it is so much food (wait for more on that), but still allows a little wiggle room. The workouts are super adaptable, and you can modify them both easier and harder…it grows with you. This program is so amazing to me because it can last you for so long. Adding Shakeology in makes it such a complete plan – curb cravings and have a super filling meal to help you adjust to a new plan. The Extreme program is perfect if you want an extra challenge, but I couldn’t eat without treats forever, so I don’t think of it as a lifestyle plan. The workouts are a bit more advanced, with the modifier at a more intermediate than beginner level. I take it back to the Extreme workouts pretty often, and have also done a hybrid plan of the two workouts. You can see my personal results from each here and here. I love them both! Now, about all that food. Here is my lunchbag from yesterday. I was expecting to be gone from about 7:20 am to 7:20 pm, teaching a fitness class in the evening. 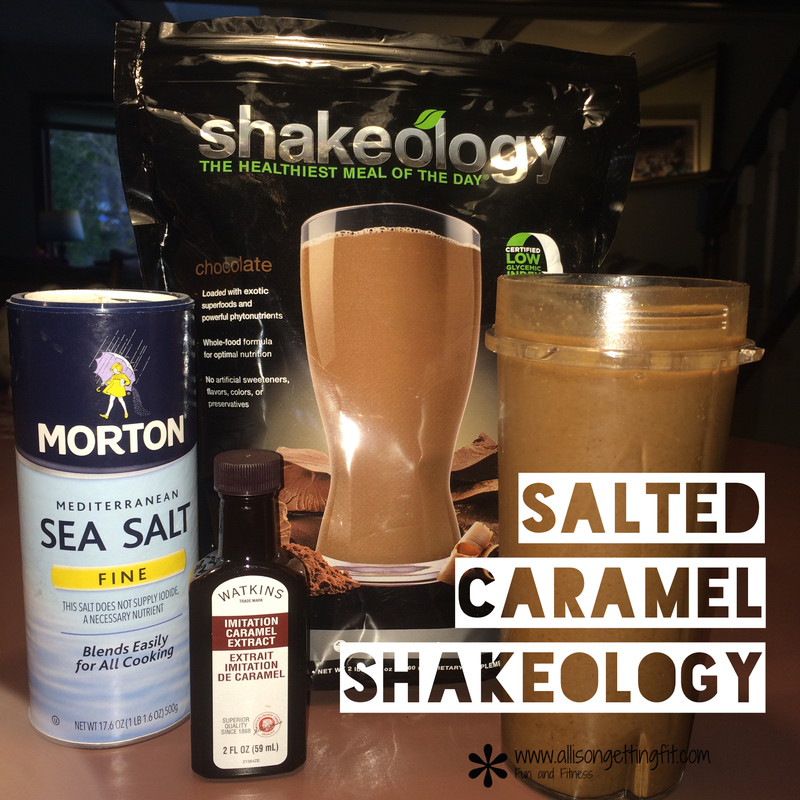 Outside of this, I had my coffee with coconut oil in the morning and Shakeology in the evening, plus Energize, Hydrate, Recover and Recharge from the Beachbody Performance line. So, what was in my bag? Does that make you think “I’ll be too hungry”? What are your questions? I want to hear them so I can answer them! Sticking with the 21 Day Fix theme, here are the three things I hear people think about the program! What have you heard? No question is too crazy, weird, what have you! This could be written about almost any program where you’re trying to get healthier and fitter. But in honor of the 21 Day Fix and 21 Day Fix Extreme packages (plus Body Beast! Links go to my personal results on each) being discounted this month, this one’s going to be Fix specific! So, you are getting started. It’s a bit overwhelming, right? Things to learn, things to figure out how you’re going to work into your life, and maybe adding workout times if you’re new to exercise…yikes!! I get it. It can be hard. But I want to make it easier for you! You are worth the effort, but lets use the effort where you need it. Tip 1! Get excited!! You are going to start on something new! With pretty colored tupperware! Tip 2! If you don’t have support, get it! You can get a coach (me if you like! ), join an accountability group, grab friends to do it with you, or tell people you’re starting it! Tip 3! Make your mindset positive! Think about all food you CAN eat, not what you’ll be avoiding. This is a 21 day fix to your habits and a lifestyle plan…not 21 days until you go back to old habits. This is a diet…where the definition of diet is “the foods you eat.” You have a diet. You aren’t on a diet. Tip 4! Follow the program! It was written by experts to get you results…that’s why you got it, right? So eat your containers, drink your water and do your workouts! Tip 5! Really a part of tip 4, but I see it so often that it gets a tip to itself. Eat your healthy fats…blue, orange and teaspoons. Don’t skip these! I know “fat is bad”, but that mindset is so outdated! Fats in your diet (healthy ones that is!) don’t make you gain weight. They keep you feeling full, help digestion…lots to list, so don’t skip them! Tip 6! Don’t get caught up in perfection! Perfection is great. Strive for sticking to the plan 100%. But don’t let that stop you from getting right back to usual after a slip or not getting started because you have dinner plans next week! Do it. Do it as well as you can. Tip 7! Plan it out! Knowing what you’ll have for a meal is half the battle. So go through the food lists and find things you like. Eat those things! Tip 8! Spread out your containers. A lot of people try to finish their yellows (carbs) and purples (fruits) before 6pm. I’m one of them. But don’t feel like you have to have all your greens in one meal! You can even split a container over two meals. Tip 9! To start, you don’t need too much equipment and there is NO SHAME in following the modifier! Move your body and work to your level…challenge yourself. Not someone else. Tip 10! Drink Shakeology! I can’t tell you a better way to stay on track while fueling your body with nutrients! Amazing! Most of all…Smile! You’ve got this. For all of this month’s deals, click through your awesome motivation below! I have salads for dinner most nights. If we’re grilling up dinner, it’s whatever protein I’m having on a salad! But last night, I was really in the mood for some Brussels sprouts. 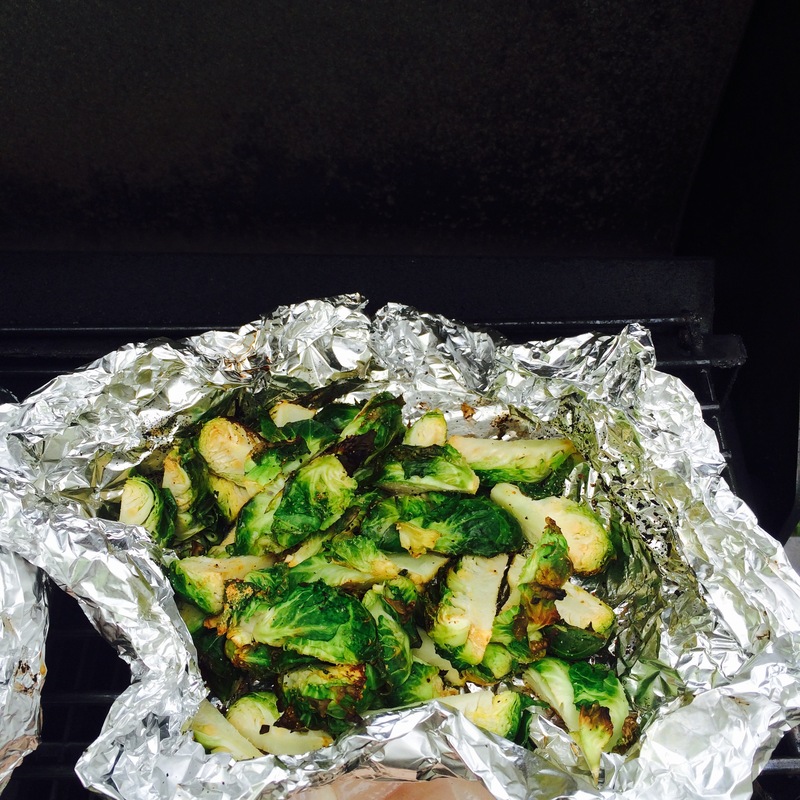 And my husband was grilling up steak for him, chicken for the rest of us…so grilled Brussels sprouts it was! I cut up my Brussels sprouts (this is two greens on the 21 Day Fix) and put them in a foil “bowl”…two layers of foil with the ends crumpled up to make it bowl-like. 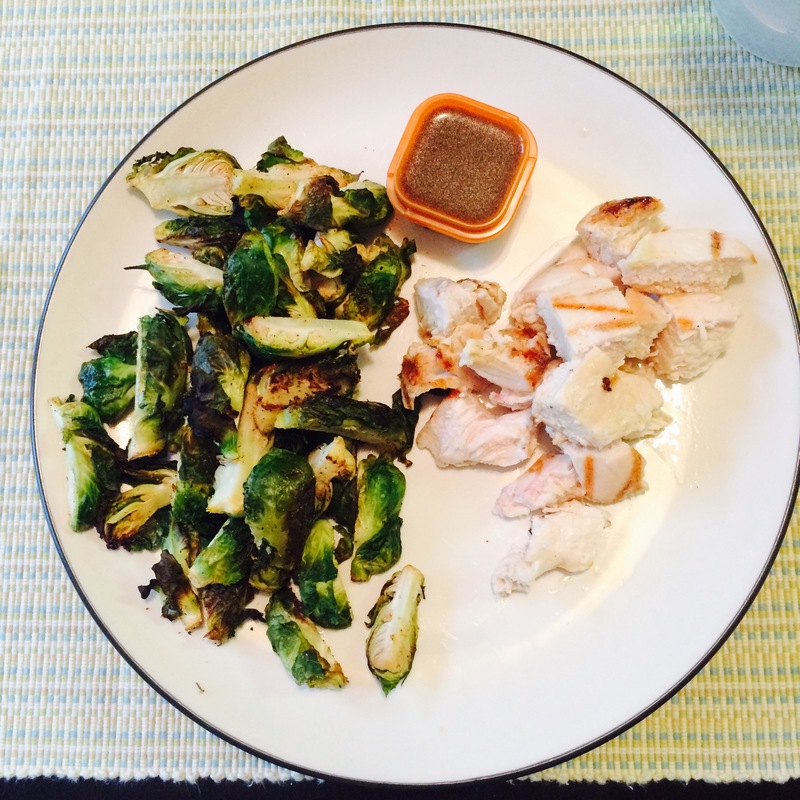 I threw on some 21 Day Fix All purpose seasoning, but you can put on any seasoning you like. Then we put them on the grill for about 20 minutes, stirring every so often. So here’s my dinner…1 red, 1 orange (homemade balsamic vinaigrette that I dipped the chicken in and then drizzled what was left on what Brussels sprouts I hadn’t eaten!) and 2 greens…filling and so good! When I finished Body Beast, I wasn’t sure what I wanted to get into next. I knew I wanted 21 Day Fix eating, but I wasn’t sure what workouts to do. 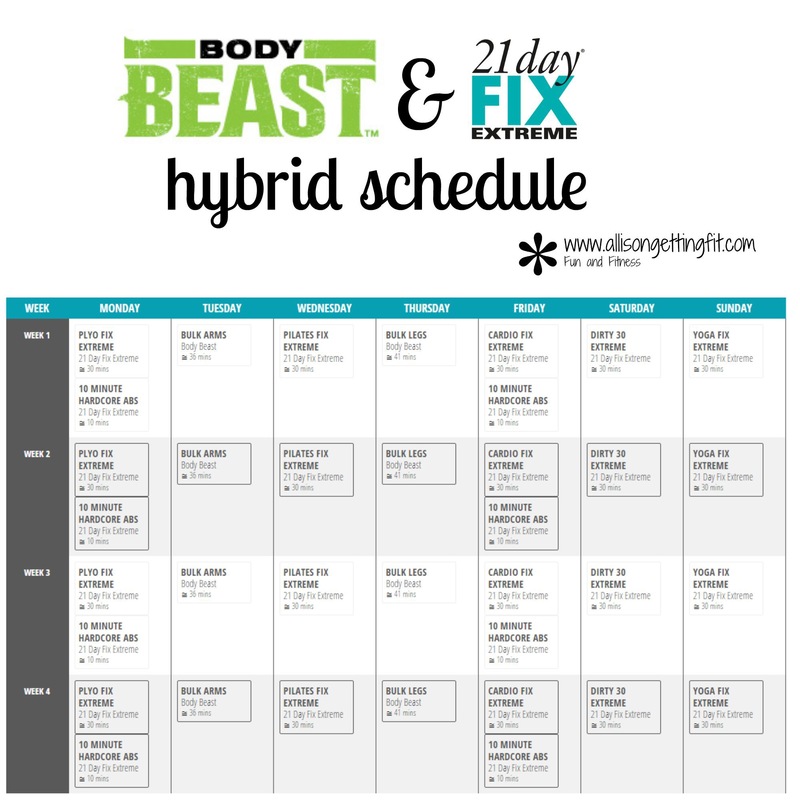 I saw a schedule with a hybrid of the 21 Day Fix and 21 Day Fix Extreme workouts that looked good, but didn’t completely work for me, so I created my own. It’s super simple, taking the structure of the Extreme schedule and alternating days between the programs. This will take me to when I wanted to do a round of the Extreme program, so it’s perfect for what I was looking for. So this is what I’m working through now! 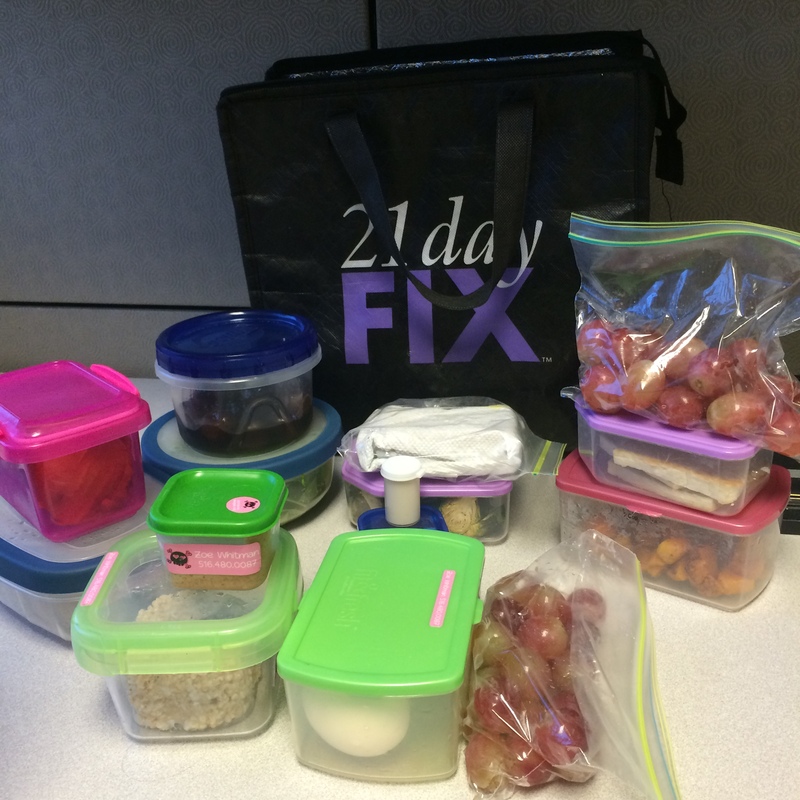 I’ve fully committed to the 21 Day Fix eating for the next 3 weeks and really want to get it done. It can be frustrating when you realize that you have so many tools to reach your fitness goals and aren’t using them to their potential! Are you using your tools to their potential? What are you waiting for?